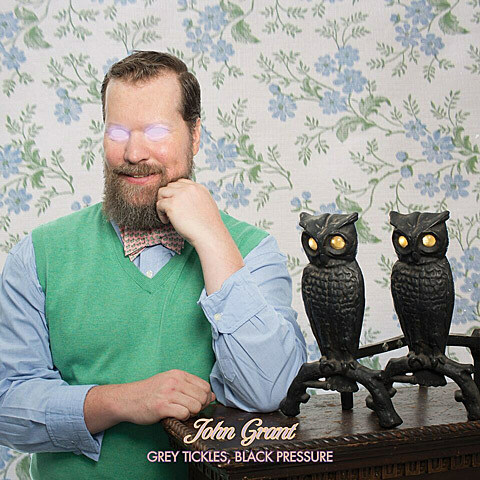 John Grant will release his third solo album, titled Grey Tickles, Black Pressure, on October 2 via Partisan/Bella Union. That’s the cover art, above. The album was recorded in Dallas with producer John Congleton (St Vincent, Franz Ferdinand, Swans) and features guest appearances from Amanda Palmer, former Everything But the Girl vocalist Tracey Thorn, and onetime Siouxsie & the Banshees drummer, Budgie. As for the album title, “Grey Tickles” is a literal translation for the Iceland term for midlife crisis, and “Black Pressure” is the same for the Turkish “nightmare.” Both of these come to play in a ghoulish, bloody trailer for the the new album which you can watch below.